Kyocera has brought two new handsets to CTIA, the Hydro and the Rise, and they're letting them out of the bag this morning. Both phones are decidedly entry level, use the latest technology to enhance voice call sounds, and run Ice Cream Sandwich. The Hydro is a 3.5-inch HVGA with an MSM8655 Snapdragon at 1 GHz, and 512 MB of RAM. It's also waterproof at 1 meter for 30 minutes, because according to Kyocera "70% of users polled said that water resistance is an important feature in their next phones." We can't argue there, we've all seen horror stories about water and smartphones. The Rise shares the same specs (and overall basic design) with a four-row horizontal sliding QWERTY keyboard instead of the water proof design. 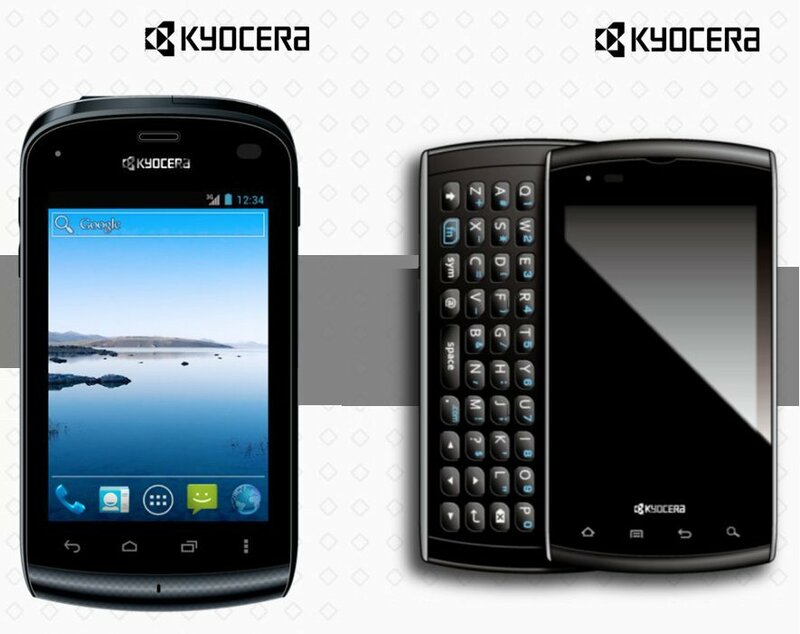 Again Kyocera tells us why, saying that "69 percent of consumers say QWERTY keyboards are a must-have or nice-to-have feature in their next mobile phones." A statistic that I can get behind, but I'm thinking most readers on the Internet will disagree with. Possibly the most interesting specification is the "Tissue Conduction" audio technology. Originally designed for hearing aid devices, the tech uses a piezoelectric transducer that transmits sound through air as sound waves, and through soft tissue as vibrations. This "delivers dramatically improved hearing in noisy environments" according to Kyocera. You'll simply place any portion of the "A-cover" over the outer ear and ambient noise is cut and the transducer splits the signal to transmit on both paths. It's a really interesting concept, and one we can't wait to try. There's no word on carrier, release dates, or prices, but both phones are equipped with EVDO radios and should appear later this year on Sprint or Verizon. Given Sprint's relation with Kyocera, my money is on the Now Network. See the full specifications for both after the break.